*Ja Rule is speaking out about his pending two-year prison sentence on weapons charges, saying the worst part will be spending time apart from his wife Aisha and their children, Brittany, Jeffrey, Jr. and Jordan. 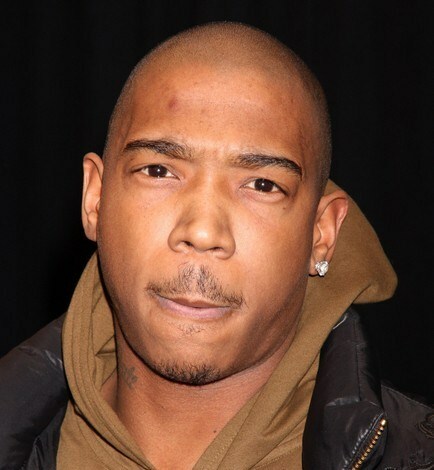 Ja Rule, real name Jeffrey Atkins, was convicted of weapons charges stemming from a 2007 arrest in New York. He says he’s prepared to serve his time beginning in June, and hopes his sentence will dissuade others from following in his footsteps. hindsight is always 20/20…..well, at least he’s not complaining about being set up….he’ll be out soon to f-up again. Odd looking lad isn’t he?? sometimes he looks like he does not have a bottom lip.